Fly to Adelaide today. You will be personally met at the airport by a DISCOVER AUSTRALIA representative and transferred from the airport to your hotel. Enjoy some free-time this afternoon to explore Adelaide and some of its' treasures. Breakfast, Luxury Coach Tour with Hotel Pick Up, Torrens River Cruise, Tea, Haigh's Chocolates, Overnight Adelaide Accommodation. Enjoy a relaxed morning to yourself before your friendly local driver picks you up in the comfortable air-conditioned coach and shares experiences, fascinating facts and enchanting stories in the on-board full commentary. Board the ferry to Kangaroo Island and spend time at Penneshaw. Breakfast, Ferry to Kangaroo Island with Hotel Pick Up, Overnight Kangaroo Island Accommodation. Kangaroo Island is home to a wealth of spectacular natural surrounds and abundant and diverse wildlife including sea-lions, kangaroos, koalas and penguins, explore dramatic rock formations and atmospheric underground caves, swim, fish, snorkel and dive in sparkling turquoise waters and laze on sensational sandy beaches. Experience iconic landmarks such as Remarkable Rocks, Admirals Arch and Flinders Chase National Park. Stop at Hanson Bay Wildlife Sanctuary, and enjoy lunch at Vivonne Bay Bistro before taking the ferry back to Adelaide. Cruise along the mighty Murray River in a fully restored 100 year old paddle-steamer and enjoy a Special Buffet Lunch onboard. Your magnificent 160 ton riverboat is living history. She is one of the world's only steam driven, wood fired, side paddle, heritage paddle-steamers still in operation. Learn the rich history of one of the world's greatest river systems and the key town of Mannum. This historic Lower Murray town is the birthplace of Australia's paddle-steamer, hear the stories from the riverfolk and learn how the river breathes life into this rugged region. Travel by luxury coach through rolling hills and rural land now rich in green vineyards and golden citrus orchards thanks to the Murray, the arid pasture region of the Murraylands. Arrive at Mannum (birthplace of the River Murray paddle-steamers), cruise the broad waters of the Murray onboard your historic paddle-steamer riverboat, enjoy a delightful morning tea on board, whilst marveling at the stark cliffs, river red gums and willows that burden the waters of the Mighty Murray. Spot for galahs, cockatoos and pelicans. Time for your Special Lunch, a delicious buffet lunch served onboard your paddle-steamer as you cruise the majestic Murray. Take in the view over Mannum and the Murray from a scenic lookout, enjoy free time exploring Mannum, perhaps take a ride on the punt (time permitting). Follow the Torrens Valley scenic drive through Palmer, Tungkillo and Birdwood to Gumeracha; Stop at Gumeracha Toy Factory (home of the Big Rocking Horse). Continue down the Chain of Ponds to Tea Tree Gully. Return to Adelaide through the undulating green Adelaide Hills after full day of new memories. Breakfast, Luxury Coach Tour with Hotel Pick-Up, Morning Tea, Paddle-Steamer River Cruise, Special Buffet Lunch, Overnight Adelaide Accommodation. Head to the Adelaide Hills to explore one of Australian best and most famous wine-producing regions, now regarded as one of finest in the world, and is home to Australia's most expensive wine, Penfolds Grange. Enjoy your delicious Special Lunch at a renowned winery restaurant, including tastings, winemaking tour and wine education. Explore some of the quaint and charming villages in the Adelaide Hills, part of the Mount Lofty Ranges. See the heavy influence of the original German settlers, such as buildings with steeply sloping roofs, Lutheran stone churches and the local versions of Germanic cuisine. Visit Hahndorf, the beautiful Lutheran settlement dating back to 1838, with its arts, crafts, cottage industry shops, pubs, traditional smallgoods and bakeries that evoke the tastes and smells of Bavaria. The Fleurieu Peninsula is a holiday playground of wineries, seaside towns and lakes whose population trebles during holiday periods. The splendid seaside resort township of Victor Harbour is where the mouth of the massive Murray River finally meets the ocean. The internationally respected wine region of McLaren Vale has more than 60 cellar doors and produces amazing Shiraz, Grenache, Cabernet Sauvignon and Chardonnay wines. The old paddle-steamer port of Goolwa is on Lake Alexandrina, near the Murray Mouth, and is joined by a bridge to Hindmarsh Island. Tour through the Mt Lofty Ranges with its many quaint villages and panoramic views. Stop at historic Strathalbyn on the Angas River. See the river Port of Goolwa (where the Murray River meets the lakes and sea), Port Elliot, Horseshoe Bay, Encounter Bay and Victor Harbour. Perhaps ride a horse drawn tram across the causeway to Granite Island. Enjoy some free time to explore Victor Harbour. Then onto McLaren Vale wine region to see the vineyards, leafy olive groves, almond groves and magnificent old stone wineries. Perhaps taste top local wines at Hardys Tintara Cellar Door, sample produce at Medlows Confectionary and sample produce at Almond Train. Take in the views of the picturesque coastal seaside towns, before heading north back to Adelaide to conclude your full day of exploring the Fleurieu Peninsula. 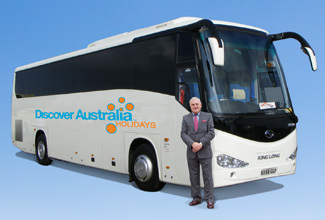 Your special overnight Luxury Coach Touring includes some meals. The luxury vehicle has a personalised air-conditioning, a video system and an onboard toilet. 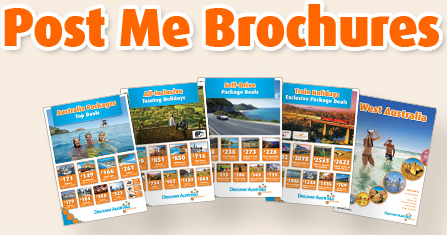 The Adelaide All-Inclusive with Kangaroo Island Stay is very popular. Many dates book out well in advance, please book soon.